In Balanced Achievement’s Quote 20 series, we explore 20 inspirational quotes about a particular topic or 20 memorable quotes said by a historically significant individual. 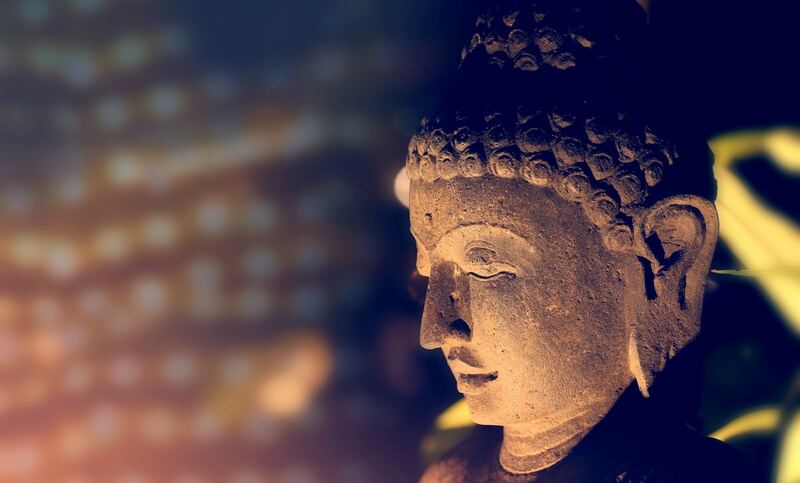 In this article, we turn our attention to looking at 20 authentic Buddha quotes coming from the ancient Dhammapada scriptures. It was some 2,500 years ago when a royal Indian prince turned wandering spiritual ascetic by the name of Siddhartha Gautama transcendent the limitations of human existence, while sitting underneath a Bodhi Tree in the northeastern city of Bodh Gaya, and forever became known as the Buddha. Soon after attaining enlightenment, at the age of 35, the man who spent six years tirelessly searching for a way to liberate himself from the shackles of suffering was ready to illuminate the path for others. Over the remaining 45 years of his life, the Enlightened One would travel between various Indian villages and towns teaching dharma, or cosmic law, as a following of seekers eager to taste the sweet nectar of nirvana grew exponentially in size. During the four centuries following his death, at the age of 80 sometime around 480 BCE, the wisdom of the Buddha was passed down orally from one generation of monastics to the next. This, however, all changed when a group of prominent Buddhist leaders decided to thoroughly document his teachings in writing at the Fourth Buddhist Council, which took place in Sri Lanka in 29 BCE. The scriptures that were produced that year under the direction of King Wattagamani Abhaya, which are now collectively known as the Pali Canon or Pali Tripitaka, are widely considered to be the oldest Buddhist canonical texts.